Neumann, AKG, Oktava and RØde. AKG, Electro-Voice, Sennheiser, and Shure. 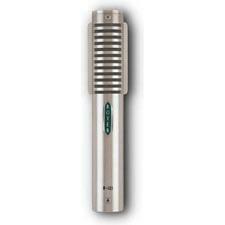 Ribbon microphones, once a studio staple, have made a comeback. There is nothing like a ribbon on a guitar cabinet or drum overheads. We use the Royer R-121 and Cascade FatHead either alone or as a pair in a Blumlein stereo configuration.